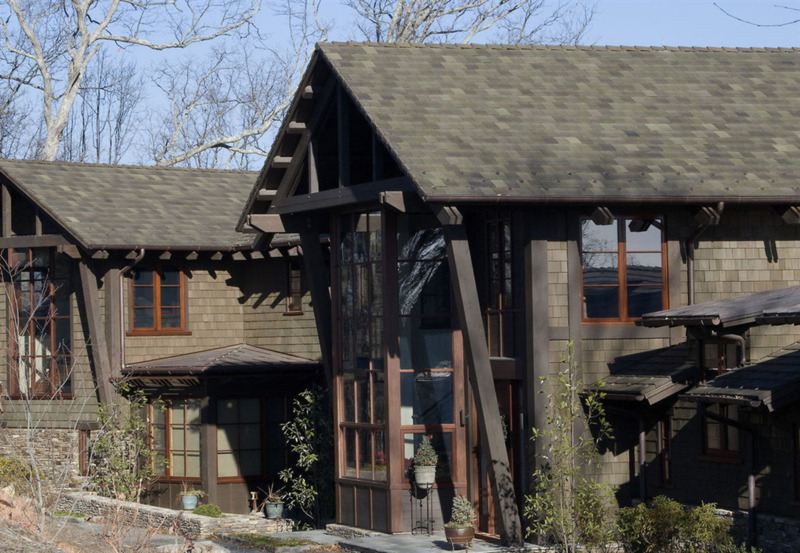 Ludowici is the choice for sustainable and efficient tile roofing. With an expected life of over 100 years, and because they require no maintenance or reroofing every 15 years, Ludowici tiles offer the lowest life cycle costs in the industry. Ludowici tiles are made of local and natural materials (clay and water) through a unique process which creates no waste. Moreover, all Ludowici products are 100% recyclable. The tiles are chemically inert, making them forever safe. They may be reused to create a beautiful vintage roof and at the end of their lifespan they can be recycled and used as filler and filter components for future construction. Index (SRI) of greater than 29, Ludowici offers proven energy efficiency without limiting color choices. Finally, explore Ludowici’s rain screen system to discover more ways to save energy throughout the building envelope. One of the most popular tile in Ludowici's product line, Spanish tile is prized for its simple, one-piece barrel design which provides a pattern of distinctive ripples across the roof. Often synonymous with clay roof tile, Spanish tile enhances virtually any style of architecture from small bungalows to large public institutions. Uneven lengths, a rough textured surface and severely chipped butts reflecting the feel of old masonry give Ludowici's Antique shingle tile the warmth and character of Old Europe. A Large and durable French tile, it has deep locks on all four sides, plus two prominent flutes on the surface for dramatic aesthetics as well as fast drainage. When applied to a roof, these flutes produce an unusual shadow play effect for a highly refined appearance. LudoSlate interlocking tile has the texture and varied thickness of natural hand split slate and can be laid staggered for a more rustic look. The tile have a ceramic finish that comes in 11 standard colors as well as custom colors or blends and is warranted for 75 years in all climates. LudoShake interlocking tile has the texture and varied thickness of hand split wood. LudoShake Premier is available in random widths and both can be staggered for a more rustic look. Unlike wood, rubber or plastic shakes, LudoShake has 120 years of proven technology behind them, are Class A fire resistant and will never rot, curl or fade.